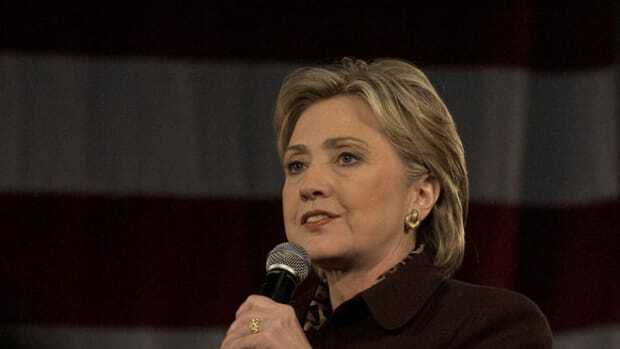 Back in April of 2007, when she was campaigning for the Democratic presidential nomination for the first time, then-Senator Hillary Clinton lashed out at the secrecy of the George W. Bush administration. She told a New Hampshire audience that if elected she would implement a "plan to enhance accountability and transparency" and "to replace secrecy and mystery with openness." One part of her plan: "It&apos;s time our government went fully online as well." She lost her White House bid. But 20 months later, before Barack Obama took that job and she became secretary of state, she set up a private computer server registered to her home in Chappaqua, New York, to handle all her official, as well as private, emails for the next four years. Her decision—a secret until earlier this month—impeded efforts by the press and others to review State Department actions. Today it is Hillary Clinton&apos;s record of transparency that has come under fire. 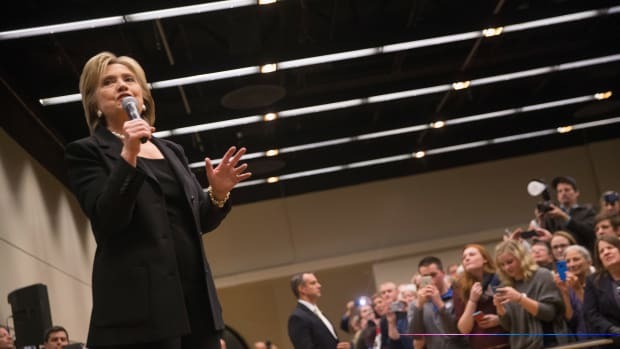 At a press conference last Tuesday, she acknowledged that in retrospect "it would&apos;ve been better for me to use two separate phones and two email accounts." She has asked the State Department to release her official emails, a process that could take months. Few public figures have been as scrutinized as Hillary Clinton. Sometimes her disclosures go beyond what is required, but she&apos;s also racked up a reputation for secrecy that at times has returned to haunt her. Here are five examples covering the last two decades. Some are drawn from a 2007 book I did, with Don Van Natta Jr., entitled Her Way: The Hopes and Ambitions of Hillary Rodham Clinton. Clinton&apos;s office didn&apos;t respond to a request for comment. During Bill Clinton&apos;s first run for the White House, his campaign declined to release all of the couple&apos;s tax returns. 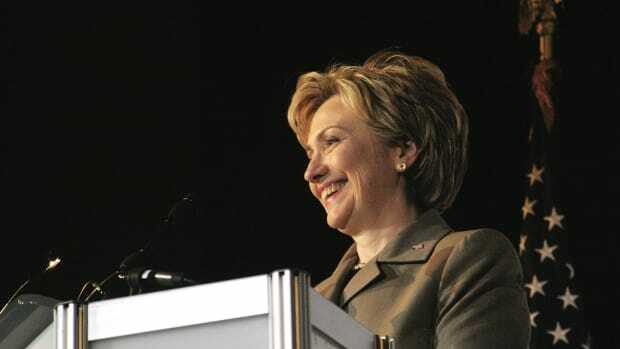 Later it emerged that the campaign had weighed requests from the press and decided not to do so, because a few of the returns showed Hillary Clinton&apos;s spectacular success in commodities trading, in which she made almost $100,000 from an initial investment of $1,000 in a matter of months for a return of almost 10,000 percent. Hillary Clinton threatened a campaign lawyer who had access to the material with retribution if she released the data: "You&apos;ll never work in Democratic politics again," the lawyer, Loretta Lynch, says Clinton told her. It wasn&apos;t until 1994, as the New York Times prepared to publish an article detailing the trades, that the Clintons made public the returns. As First Lady, Clinton led a presidential task force to overhaul the United States health care system. The group, which produced a 1,342-page bill that failed to win approval, came under intense criticism from lawmakers and interest groups for meeting behind closed doors. Several court challenges were brought in an attempt to open the process. Ultimately the courts provided a partial legal victory to the administration. Clinton later wrote she didn&apos;t mind the criticism since she was "trying to do something important for people" but acknowledged the failure was partially the result of her "own missteps" in "trying to do too much, too fast." U.S. investigators in 1994 subpoenaed the First Lady&apos;s billing records from her years at the Rose Firm in Little Rock, Arkansas, documents that had been also sought by reporters. A focus of their interest was her legal work for a failing savings and loan, but records of those billings weren&apos;t found. Much later, Clinton&apos;s long-time assistant, Carolyn Huber, said she found in the White House residence an additional box of records that contained the billing memos. They were turned over to the independent counsel in 1996. Clinton testified she had no knowledge of how the records wound up where they did. 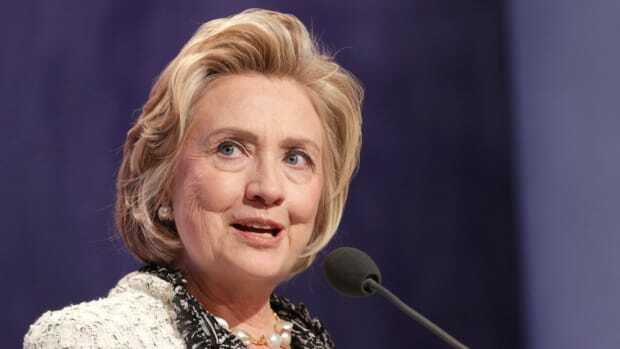 Late in her first term as U.S. senator from New York, Clinton set up an energy task force to help her work through the issue, deliver a major speech on the subject and prepare for a possible presidential run, participants in the task force told us for the book. They produced a 40-page report in April 2006. The whole project, including the existence of the group, its members and its work product was a secret, designed, participants said, to encourage frank discussions of the issue. The leader of the task force headed an investment firm with major holdings in the energy sector. Senators routinely get input from outsiders and no law requires their disclosure, but a secret task force is unusual. 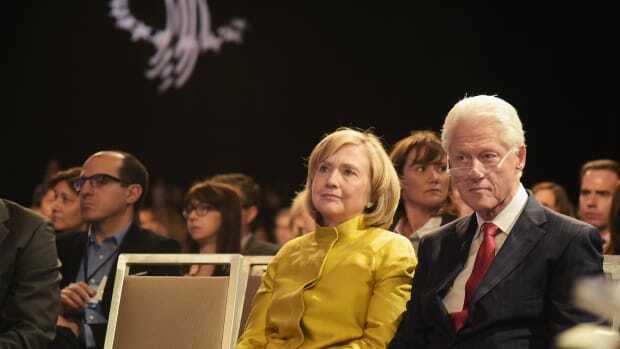 The Clinton family foundation, now called the Bill, Hillary and Chelsea Clinton Foundation, made disclosures that exceed the legal requirements. Charities are not required to list donors, but as part of Clinton&apos;s selection as secretary of state the foundation agreed to disclose the identity of contributors and restrict solicitations from foreign governments. Still, the information on the foundation&apos;s website is less than full. Donors are identified but not the exact amount of each donation or the date of those contributions. Instead donations fall under ranges and are listed cumulatively. The foundation did not announce that it started raising money from foreign governments after Hillary Clinton left office. But last month the Wall Street Journal pieced together some new foreign donations after the foundation&apos;s website was updated. That article was the first in a spate of news accounts raising questions about foreign money coming into the Clinton network as she prepares a run for president. The foundation has said donors are carefully vetted and their money goes to important charitable projects. This post originally appeared on ProPublica as “Hillary Clinton&apos;s Top Five Clashes Over Secrecy” and is republished here under a Creative Commons license. Hillary Clinton’s defense of her use of personal emails while she was secretary of state triggers memories of the "pink press conference." Emails disclosed by a hacker show a close family friend was funneling intelligence about the crisis in Libya directly to the Secretary of State’s private account starting before the Benghazi attack. In Hard Choices, the former secretary of state ignores or glosses over key aspects of her record on Iraq—including State Department responsibility for the country’s security assistance. 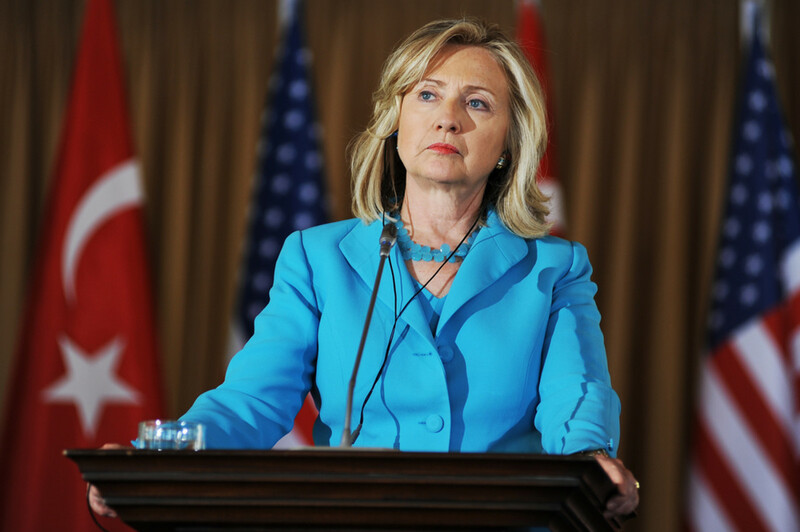 As a United States senator during the crisis years, Clinton’s legislative proposals to reform banking and housing finance didn’t gain traction. Will Voters Care About Hillary's Email Scandal? Only if she were a Republican, or running low on cash, according to research. The FBI's latest probe into the foundation may seem like a political witch hunt, but there are reasons to wonder what's going on with the organization.